Client communications are a priority for us. If someone calls, we have live people answering the phone and ready to provide service. If you need support by email or by live chat, we respond promptly. This is, of course, good business as it makes for happy customers! However, it is great for another reason. A big part of what we do is provide timely and useful articles and podcasts you can use to stay current on developments which impact the metals markets and your investments. It helps us immensely to know what our clients are thinking about and what questions they have. Question: What is the best buy currently – bars or sovereign coins? Answer: Whether it is sovereign coins or bars that represent the “best buy” will depend on what is important to you. 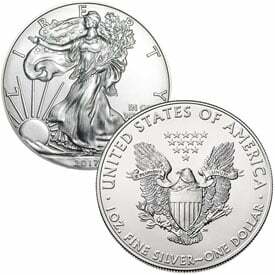 In terms of silver, discount silver bars and 1-ounce silver rounds offer the lowest overall cost per ounce. If “best buy” means “lowest price,” these are the way to go. You can’t go wrong buying the maximum number of ounces for the least amount of money, provided you are getting a quality product made by reputable mints and refiners. are very low by historical standards. On the other hand, coin premiums are at cycle lows and there is a floor of sorts beneath them. Sovereign mints, unlike private mints and refiners, are not responding to weaker sales by reducing minting charges. Based on our experience, we do not expect them to change course. That likely means coin premiums aren’t headed much lower than they are right now. People who prefer buying official, legal-tender coins for their recognizability and popularity should consider grabbing some now. Customers who want to speculate on coin premiums, might also want to exploit today’s conditions. In recent years, we’ve seen premiums on the silver American Eagle at more than twice the current level. Chances are that will happen again the next time demand spikes, giving returns on those items an extra boost. Some buyers will even choose a middle ground and opt for a lower premium sovereign coin such as the New Zealand Bounty. The Bounty costs about $0.75 per ounce less than the Silver American Eagle and is also official legal tender. New Zealand coins are not as widely traded and therefore less likely to see their premiums spike, but they are more than popular enough to be easily sold or exchanged any time. Question: When it comes to investments, it seems like most things are performing better than gold and silver right now. What gives? 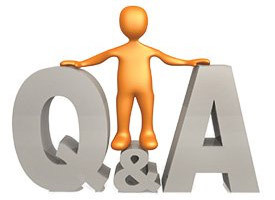 Answer: That question has a very long answer, but we will try to be concise. We understand some of the issues holding metals prices back and have covered them at MoneyMetals.com extensively. Among other things, we now know the gold and silver markets have clearly been rigged lower by the bullion banks at times. This past week, the trustees for both Social Security and Medicare issued their latest report. Social Security funds will be depleted by 2034, meaning benefits would have to be cut, taxes raised, and/or the currency devalued. It is worse for Medicare. 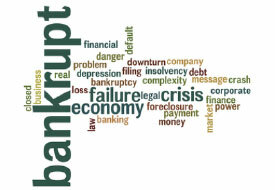 The program will be insolvent by 2026 – just 8 years from now. And the estimated date seems to move closer each year. The Federal Government is still on the road to a widespread funding crisis that could trigger a massive inflationary response. Market rigging and algorithmic trading aren’t going to permanently circumvent this reality. Making investments to hedge against this inevitability remains wise, even if – perhaps especially if – it isn’t currently being recognized by the markets. Question: What is the Dow to gold ratio? Answer: The Dow:gold ratio measures how highly valued the stock market is compared to gold. The Dow:gold ratio tends to move lower during both deflationary depressions (as in the 1930s) and inflationary panics (as in the late 1970s). At the bottom of the Great Depression, Dow:gold reached a 1:1 ratio. That same 1:1 ratio was briefly reached again in January 1980 when both gold prices and the Dow Jones Industrials sported an 850 handle. In 2017 and 2018, the Dow:gold multiple has ranged from 16 to 20. During the next financial crisis, that ratio is likely to collapse in favor of gold. Some gold bugs believe a return to 1:1 parity will happen again. A 10,000 Dow and $10,000 gold, for example, may seem farfetched today. But during a true panic in markets, one or the other price extremes – or both, simultaneously – could be realized.